Blinx The Time Sweeper Xbox Original - Complete CIB NICE! Blinx: The Time Sweeper (Microsoft Xbox, 2002), MINT- & COMPLETE! 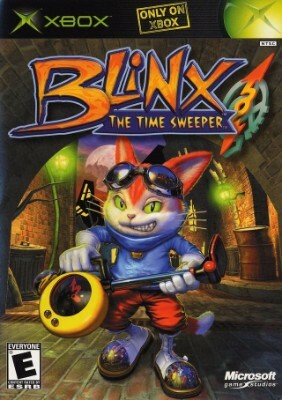 Blinx: The Time Sweeper (Microsoft Xbox, 2002) ~ 100% Complete! Blinx: The Time Sweeper (Microsoft Xbox, 2002) No CoverArt Tested Free Shipping!